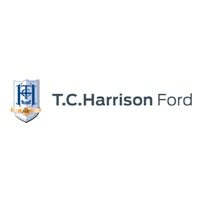 TC Harrison specialises in the sale of new Ford vehicles, with a dealership network covering five counties. The company also sells second-hand Fords, and a range of used vehicles from other popular brands like Audi, BMW, Nissan and Peugeot. For customers not looking to buy, there are leasing options available. Beyond sales, TC Harrison Group dealerships can help with servicing and parts. They also run a Motability scheme dedicated to helping disabled drivers get on the road. For the full TC Harrison experience, visit one of their Transit Centres in Derby or Peterborough, where you can browse the vehicles on offer, enjoy extended opening hours, and receive service assistance from Ford-trained technicians. In 1931, Thomas ‘Cuth’ Harrison opened a small vehicle repair shop in Sheffield. Before long, the shop had expanded into a successful Ford dealership, providing affordable vehicles to people in the local community. Passed down through generations of the Harrison family, the company has gone from strength to strength over the years, always maintaining its mutually beneficial relationship with the Ford brand. Today, TC Harrison Group operates in 16 locations across the country, seven of which are dedicated Ford dealerships. With 500 employees and a customer base of over 200,000, TC Harrison Group is one of the largest privately owned motor groups in the UK. The company’s new vehicle range is kitted out with all the latest Ford models, ranging from the compact Ford KA+ and Ford Transit vans, to the sporty and luxurious Ford Mustang. Aside from Fords, their used cars include models from Honda, Citroen, and Mercedes-Benz, to name but a few. Whether you’re seeking a practical hatchback, a family saloon, a spacious SUV, or an excellent used model, TC Harrison’s well-stocked showrooms will have the vehicle to suit your needs.